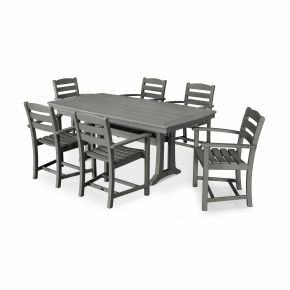 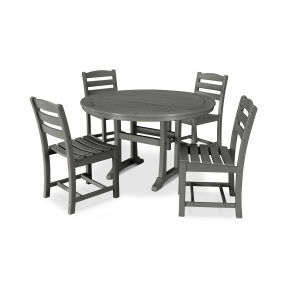 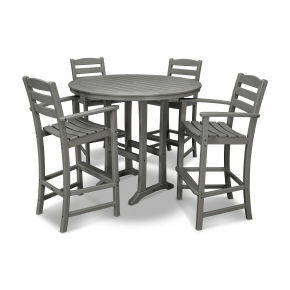 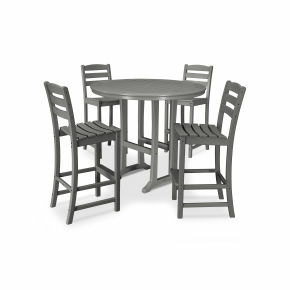 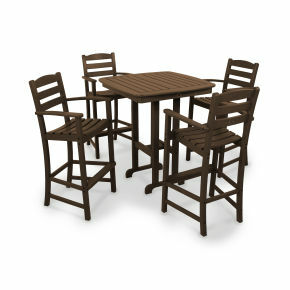 You'll accommodate large gatherings with ease when you make this spacious POLYWOOD® La Casa Café 7-Piece Dining Set a part of your outdoor entertaining area. 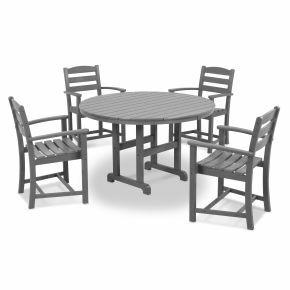 The set is available in several attractive, fade-resistant colors and includes four La Casa Café Dining Side Chairs and two La Casa Café Dining Arm Chairs, all with contoured seats and curved backs for outstanding comfort and style. 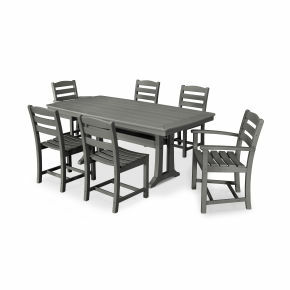 You'll accommodate large gatherings with ease when you make this spacious POLYWOOD® La Casa Café 7-Piece Dining Set a part of your outdoor entertaining area. 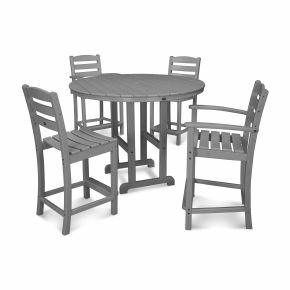 The set is available in several attractive, fade-resistant colors and includes four La Casa Café Dining Side Chairs and two La Casa Café Dining Arm Chairs, all with contoured seats and curved backs for outstanding comfort and style. 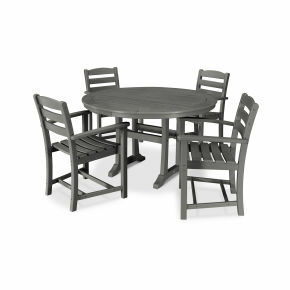 This set also includes a roomy Nautical 37" x 72" Dining Table that's not only easy to clean but resists food and beverage stains, too. 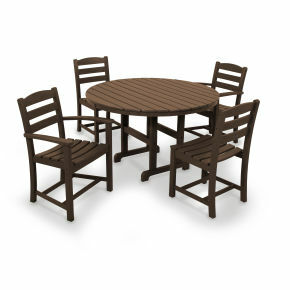 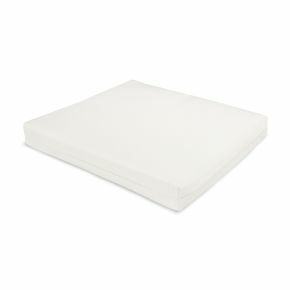 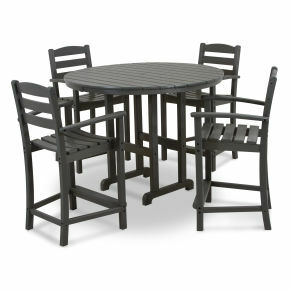 Built to last and look good for years to come with very little maintenance, this set is constructed of solid POLYWOOD® recycled lumber and Marine-grade quality hardware.